Subic Beach, as it’s sometimes called, is in the island of Calintaan, just off the town of Matnog, the southernmost tip of the island of Luzon. It’s about 30 minutes away by banca (with a brief stop at Juag Fish Sanctuary). Matnog can be reached by bus from Cubao or Pasay in Metro Manila (approximately 14 hours), or you can fly to Legazpi and take a combination of van/bus and jeepney to reach the port. Head to the Tourism Office, which is a small hut directly in front of the Municipal Hall. All visitors to the islands must register with them, and pay the corresponding fee, plus an environmental fee. They can also arrange for a banca to take you island hopping at a fixed price. No reservations needed, you can just walk in. But if you’re worried about not getting a boat, you can contact the tourism office ahead of time (contact details given below). 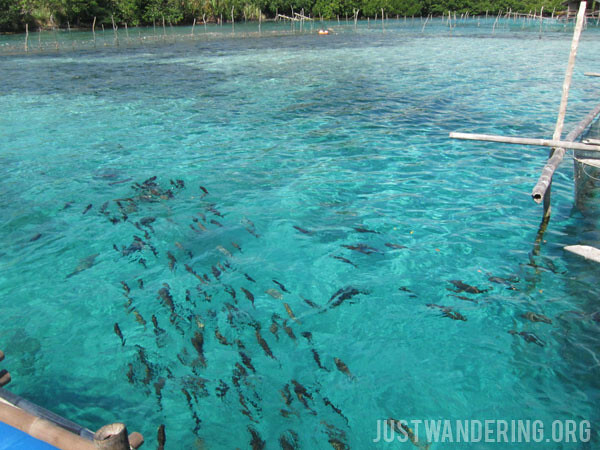 You can visit up to four sites: Tikling Island, Juag Sanctuary, Subic Beach, and the rock formations/Calintaan caves. However, depending on the weather, they might not allow you to visit certain sites. Personally, I’m happy staying for hours at Subic Beach. 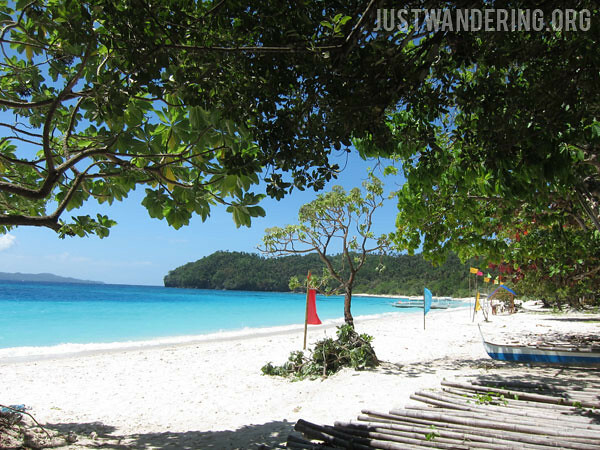 Subic Daco has a long stretch of fine white sand beach. There are plenty of corals washed up on the beach though, so in some parts, it’s kinda hard to walk barefoot. The waves here are pretty strong, so the shoreline is quite narrow. The water’s also pretty deep, so be sure to bring floaters and life vests for the kids and non-swimmers. The water feels really great, and at times cold when you get near the corals. There are several coral reef that you can swim to from the shore, and my cousin said they’re teeming with life. However, only one resort lends out snorkels, and they only have two, so it’s best to bring your own. The boats have life jackets, so you can borrow from your boatman. All in all, it’s a really nice beach, and it’s a relatively cheap destination. It’s not as crowded as well, but that could be the effect of the warnings about the coming typhoon. The tourist registration and environmental fees must be paid at the Matnog Tourism Office, located right across the Municipal Hall. The registration fee is Php 50 for Filipinos, Php 300 for foreigners, and Php 40 for senior citizens. The environmental fee is fixed at Php 20, with a Php 4 discount for seniors. By registering at the tourism office, they can also assign a boat to your group, which saves you the hassle of haggling with touts loitering nearby. 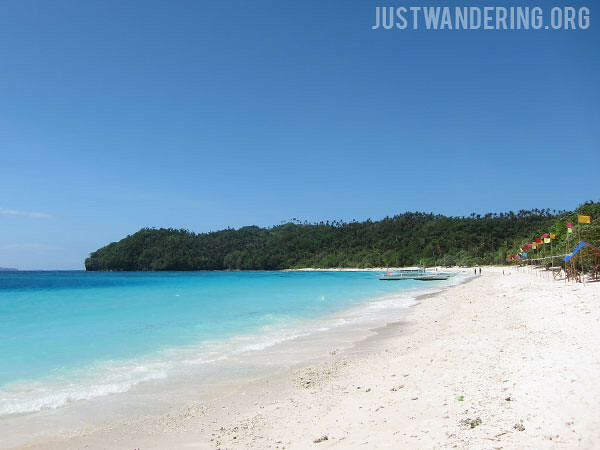 The price is fixed at Php 1,600 for day trips, Php 2,000 for overnight trips. This covers the rental of the boat, the service of the crew, and docking fees. The boat is good for up to 10 passengers. Cottage rental payments are made to the resort directly. We had a cousin cook our adobo and ensaladang talong, and we bought fresh fish and charcoal from the market in Matnog. The boatmen can grill them for you at the resort. We cooked rice at home and brought our own jug of drinking water. You can also get in touch with Olivia Gumba, the Municipal Tourism Officer via mobile at +63928-5205362. The tourism officer who assisted us was Christopher, and you can reach him via mobile at +63908-2302309. In my experience, the tourism officers seem to change often – the contacts I found online do not respond to my texts anymore. You shouldn’t have any problems getting a boat if you just walk in (unless it’s super peak or there’s a typhoon). If you plan to stay overnight at Subic beach Matnog, and feel better making reservations before you go, you can get in touch with Dannielle Anne So of Bantingui Beach Resort (+63921-2274015 / dannielleso@ymail.com). We did not stay there, but a couple of friends who are going will be staying there next week. Will update this post with their feedback. 14 hours? That’s pretty long. How long will it take if you fly instead? I’ve visited this place back in 2011. It was perfect for family gathering. The water is so clear and cold. It’s less expensive compared to oher beaches. We have really enjoy these place. This entry was really helpful. I liked how you described the place with nice details. Like how you described one of the beaches that had a lot of shells so it was hard to walk on it. Though, can you give me a more clear value of cheap? Is it like 200-500 pesos per person or is it cheaper/more expensive? But all in all this was a very helpful entry I just can’t estimate how cheap the travel is. Hi. Would you know if there’s a wifi in Bantingui Beach Resort? I need to access internet for work when we are there. haha. I still have to ask my friend, but I can say that I was able to get good mobile internet via Globe when I was in Subic Daco and in Matnog. By the way, I wasn’t able to update my post until today, but it turns out Batingui is in Matnog town, not in Subic beach. Sorry about that. do you have packages? how about the accomodation? Hi. 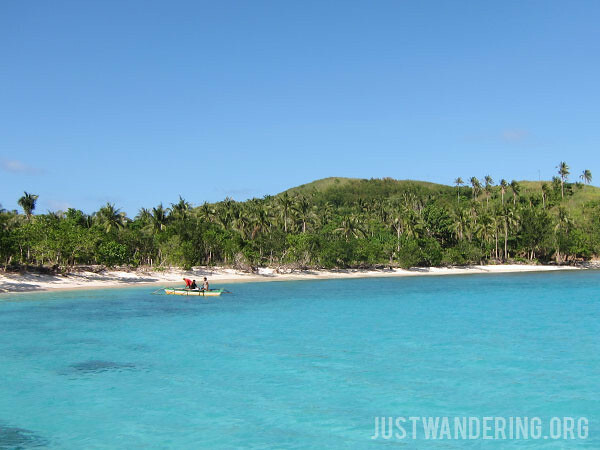 How long did the daytrip island hopping tour take? Including all the stops (Cave, Fish sanctuary) Just thinking if we would go with the tour, we need to catch the last trip going back to Manila. Thanks in advance! Ohh. What an amazing tourist spot. I would love to spend my holy week in here. Whom did you contact upon arriving at the place? Thank you. Great information here! Thank you a lot. I am planing to visit matnog, could you advise me about the local hotel? If you may, please send to my email: 413916822@qq.com. thanks! Hi ask ko lang po More or Less magkano Expenses kapag nagpunta ng Subic, Matnog?